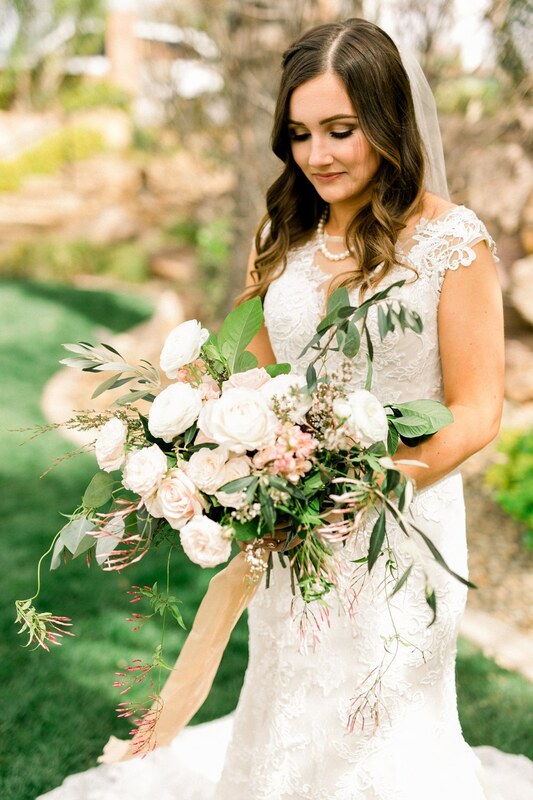 mikell and jordan's gorgeous st. george wedding at the falls event center was filled with lush and romantic blooms. we loved creating their stunning ceremony backdrop in lovely shades of blush, peach and ivory. flowers used: garden roses ranunculus, domestic roses, stock, garden roses, jasmine vine, olive and eucalyptus. we can't leave out their adorable new puppy who stole the show.